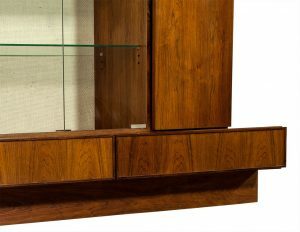 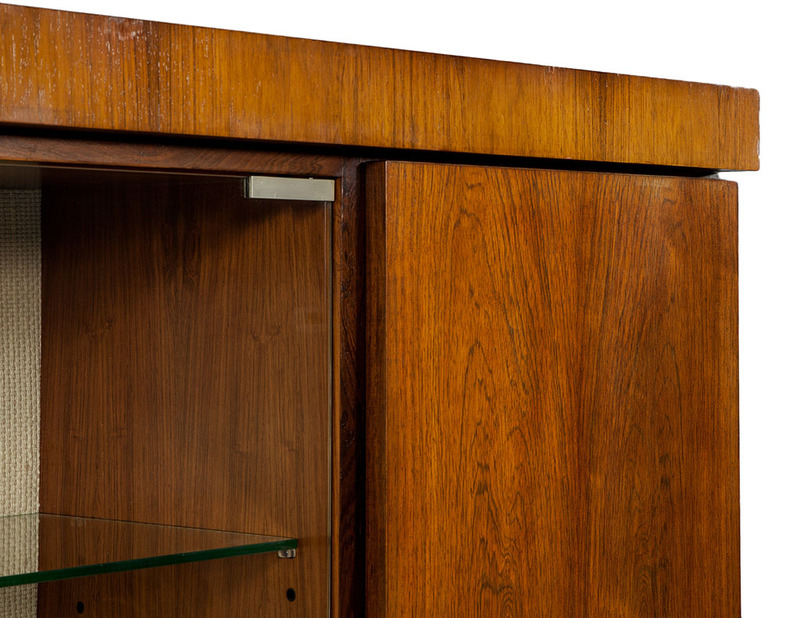 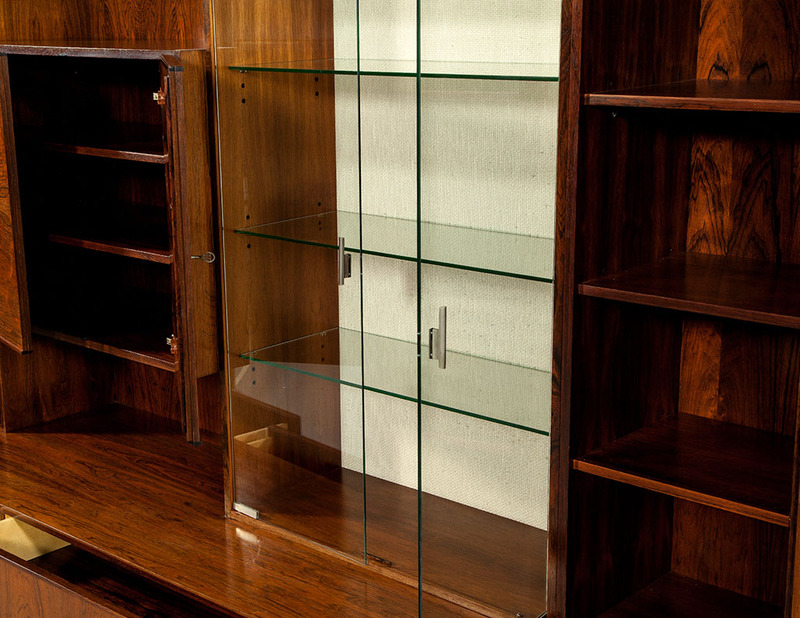 This Mid Century Modern wall unit is beautiful and functional. 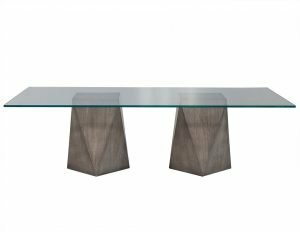 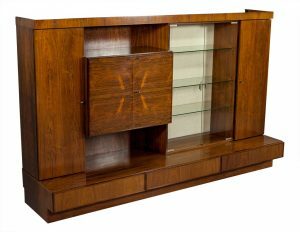 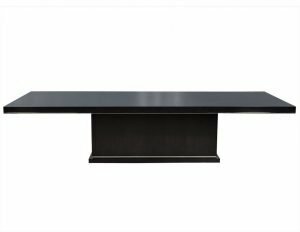 It is crafted out of rosewood and finished in a medium walnut stain. 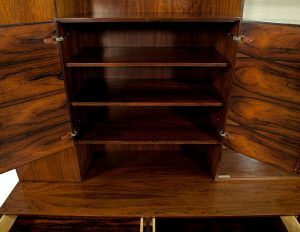 There are three bottom drawers and doors at each side. 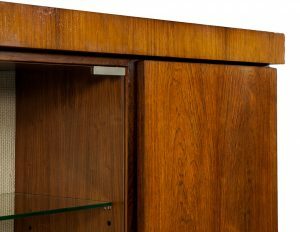 The right side encases four wood shelves while the left includes two lower wood shelves beneath a single glass shelf and antique mirror interior back. 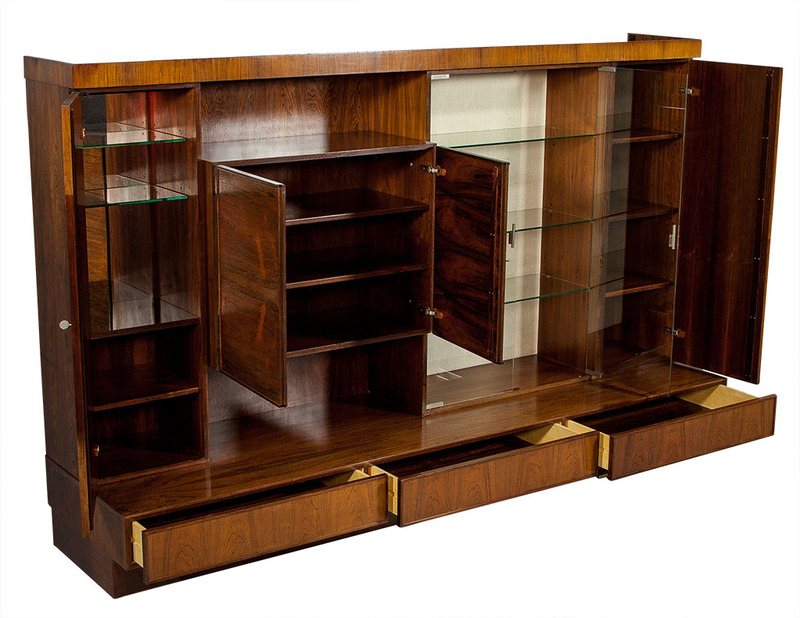 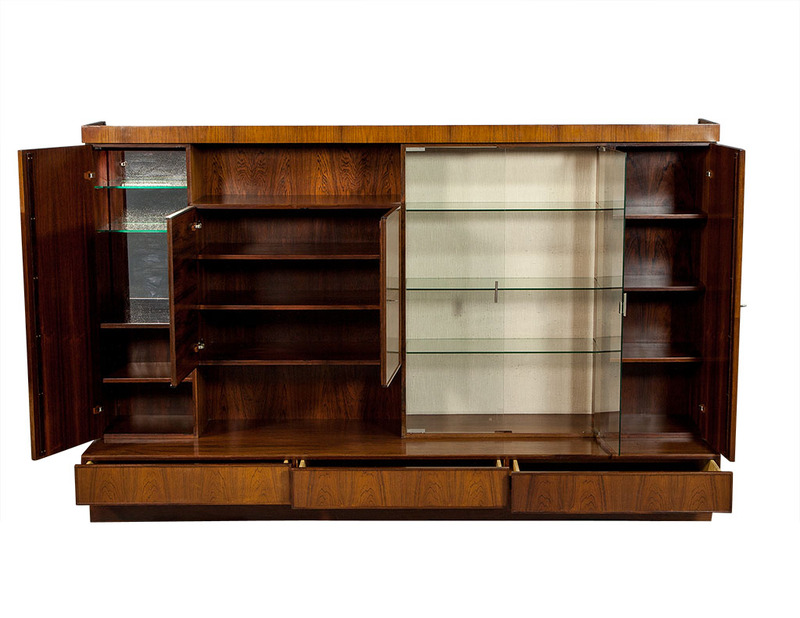 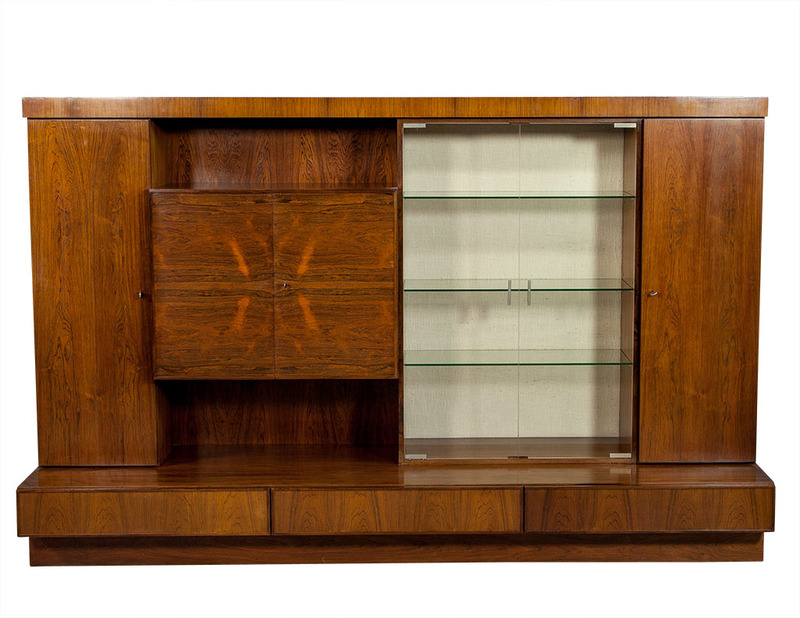 The center compartment is divided into two storage sections with the cabinet doors concealing three wood shelves on the left and an upholstered interior and glass door houses four glass shelves on the right. 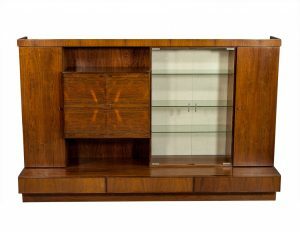 A gorgeous piece for adding storage in a sophisticated bedroom or living room. Great, some wear consistent with age.